One once mentioned that my Lights of Heaven Cursor would be cool to see in the Red, White and Blue. BAM! 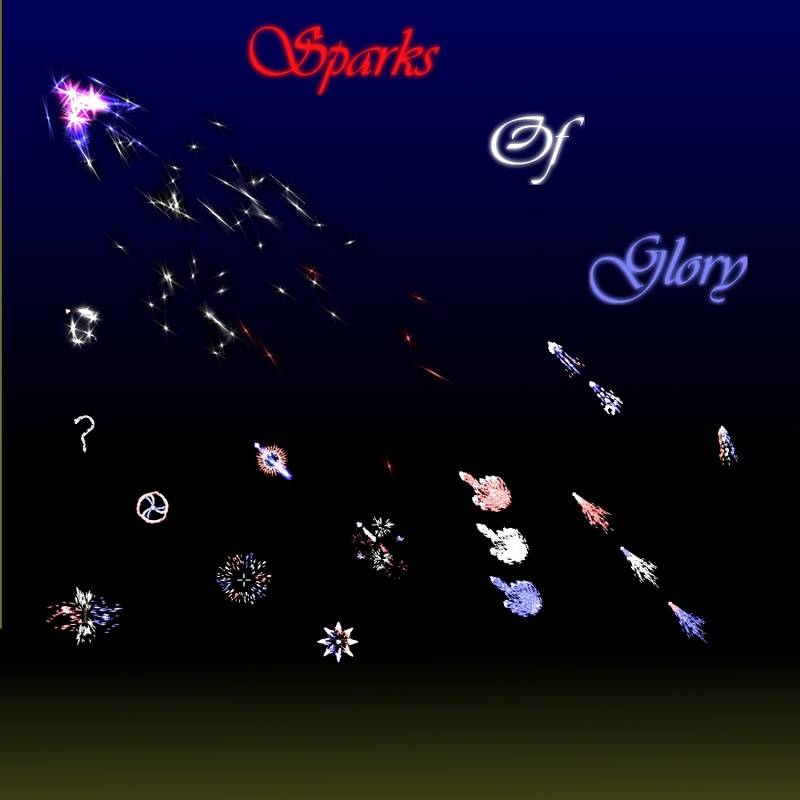 Glorious fireworks based on LoH but totally recolored and about 80% reanimated. Remember--this is for the American Day of Independence, but for those not American, these could be the colors of your flag. These Sparks of Glory are for you, too Austrailians, British, French...the list is long. I really like the lights of heaven cursor. Could you possibly do this one for Cursor XP also. Thanks. This cursor is fantastic.The burst pattern and other animations are way too cool!10 thumbs up. Very attractive animations, good job! I've been slacking on checking up! my bad... Thanks for all the props everyone! Just wait for the windowblind i'm working on. Hopefully I'll have it done in a couple of months lol.